Chinook salmon (Oncorhynchus tshawytscha), is a migrating species of fish and is in the salmon family. These species are found in the Pacific Ocean and has other known names such as "king salmon", used commonly in the USA, "tyee salmon," which describes a certain technique of catching as well as size. Other names include, "black salmon," "Columbia River salmon," "hook bill salmon," "chub salmon," "winter salmon," "Spring Salmon" and "blackmouth." As you can see there are many names to describe one fish and there are even some common slang terms as well such as "smilies" or "springers." Chinook Salmon are actually split into "races" such as "spring chinook", "summer chinook", and "fall chinook" being most frequently used terms. These "races" are calculated by the timing of entry into fresh water by an adult salmon. 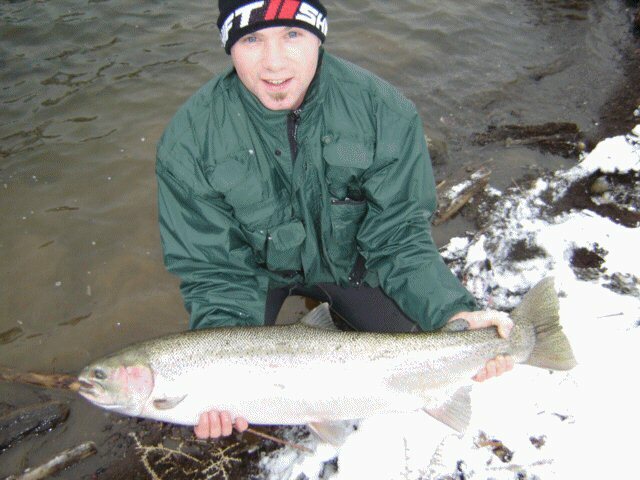 A "winter chinook" run is common in the Sacramento River. 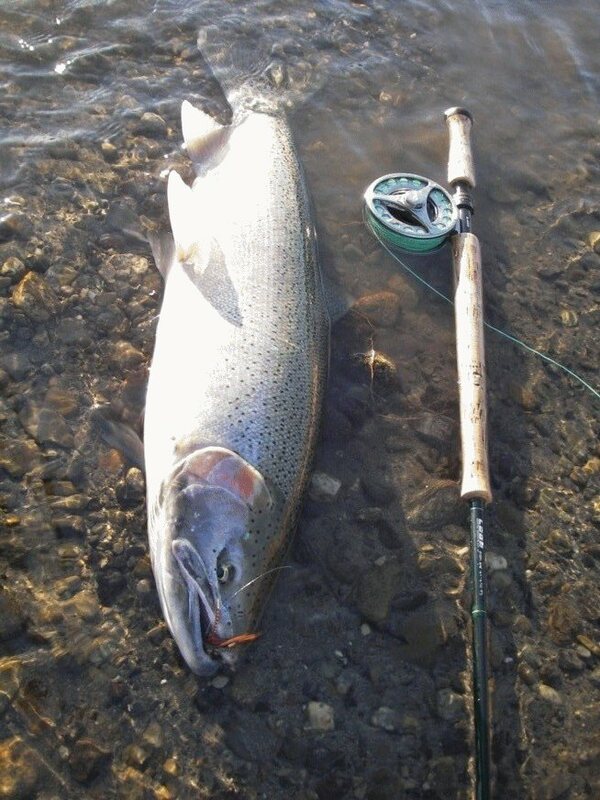 With Chinook salmon being the largest species of salmon found in the Pacific Ocean, you can imagine that the shear size of the chinook is legendary; individuals will commonly be caught that weigh over 30 pounds and real monsters over forty or fifty pounds are not uncommon in rivers such as the Stikine river chinook. The largest chinook ever landed in sport fishing was well over 90 pounds and was caught in the Kenai River in Alaska in 1986. 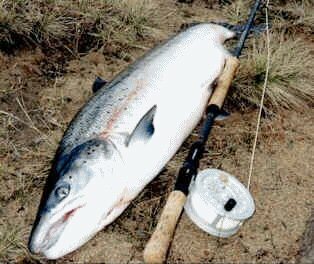 The largest chinook ever caught was taken in a fish trap in Alaska in 1946, and weighed 125 pounds! This type of salmon will not always be guaranteed to be this size, however. The size the fish achieves will depend on how long it stays in the ocean before heading back upstream to spawn. Maturity comes at different times for different individuals, and probably depends on external factors such as food supply and predation pressure both in the hatching grounds and in the ocean. Growth is by no means static with years; a three year old chinook that has reached maturity might only weigh four pounds, while the big guys are generally over seven years old. Four year old salmon of this species are also noticeably larger than their cousins, as many people who have had the opportunity to observe a run that includes two species will readily note. Chinook, like other species of Pacific salmon, are anadromous. This means that they are born and reproduce in freshwater (in the case of the chinook, in rivers or streams), and live their major growth lives in the ocean. All Chinook will die after making their migration back to the place where they originally hatched, and many will in fact never make the trip back as they become exhausted on the way. Typically chinook will head back to the spawning grounds after three or four years in the ocean, although as noted above many individuals will wait for longer depending on circumstances. As the salmon come to maturity, their outward appearance will change. 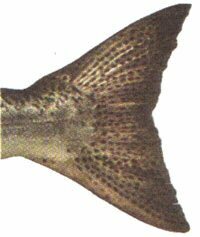 A greenish tinged silver in the ocean, chinook turn dark during the run and their jaws and backs change shape, becoming much more curved. 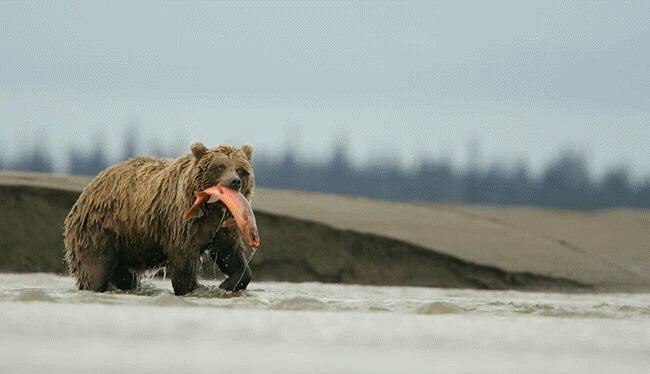 As the do not eat very much during their runs, and because of the punishment their bodies take on the way back to the spawning grounds, they are best fished at the beginning of the run. The addition of the bodies of these fish is incredibly important to the ecosystems up the rivers, as they add much needed nutrients to many species of animals as well as to the soil along the way. The chinook salmon can be found from as far south and east as Monterey Bay in California, and their northeast range extends to the arctic waters of Canada and Russia. In the west Pacific, they can be found as far south as Hokkaido Island in Japan, and north to Siberia. Because of the extended range, many cultures have developed traditions involving chinook, which also include various names for the fish. In some places it is known as black mouth due to the coloring around the lips, and also as the spring in areas where it runs early. On Vancouver Island in British Columbia, chinooks over forty pounds are known as tyee, and landing one brings special status. Below you can see the "black" gums that are a distinct trait of a Chinook and the spotted tail. Olive brown or green to dark brown in color, almost black on back and sides. Many spots on it's back. 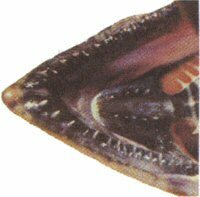 BOTH upper and lower part of tail fin has spots. Lower gum line is black. Range in length from 24 inches (2 feet) to 60 inches (5 feet). Tyee comes from the coastal Indian language and means “The Chief” or “Great Leader.” A Chinook salmon that is 30 pounds or more is described as being a Tyee. 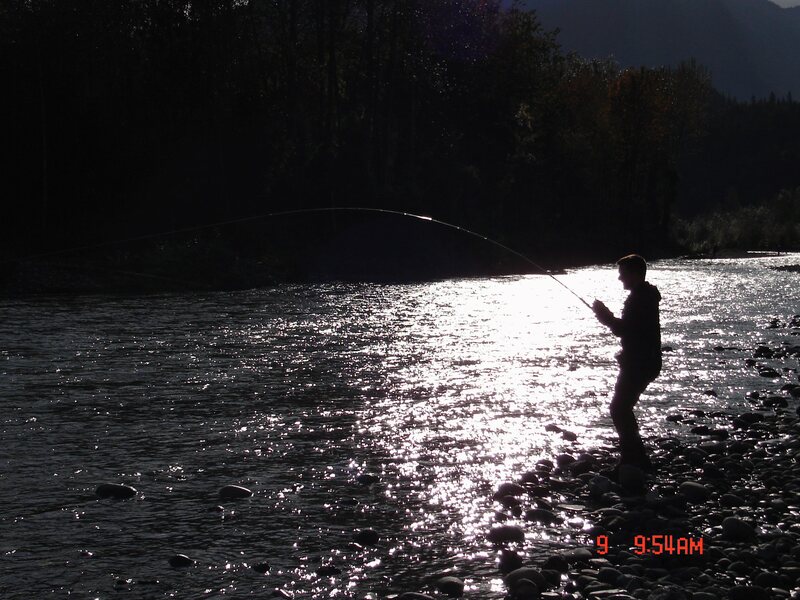 Campbell River is known as the salmon as well as Tyee capital of the world and it is here that the Tyee Club was born to celebrate BC salmon fishing. 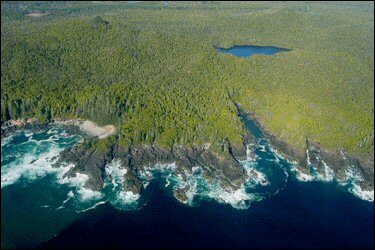 Painter’s Lodge is a great place to test your tyee fishing skills from classic rowboats in the Tyee Pools. It's simple right? Catch a Tyee, become a member of the Tyee Club of British Columbia! Well It's obviously not that easy but It's sure to give you a rush! What great about it is it's open to any anglers who want to test their skill at sport fishing. 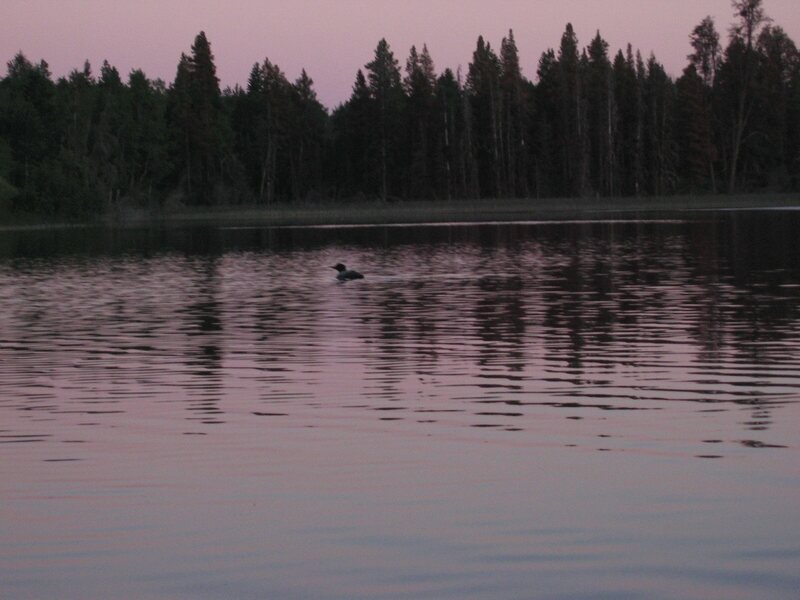 Rowers will often navigate the boat into the currents and eddies of a pool, while the angler will stay focused on the action of the lure. Any change in the beat of the rod tip will usually indicate a strike. At this point the angler has to set the hook and and get ready for a major battle against the powerful Chinook until it reaches the boat - single-handedly. 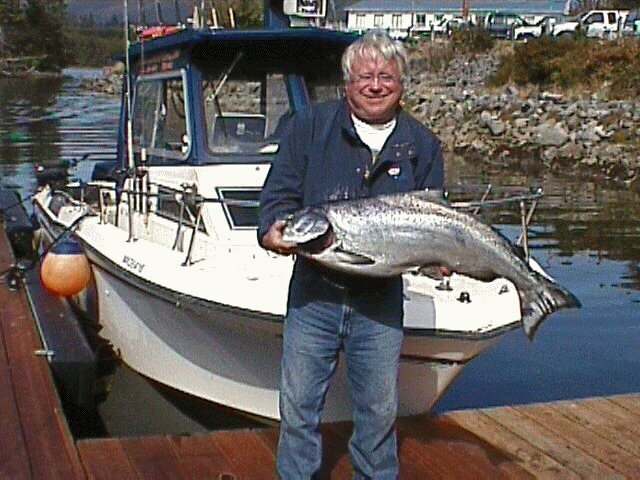 If the fish is successfully boated and weighs over 30 lbs., the catch is recorded and the angler has earned a membership in the Tyee Club.  If you would like to learn more about each species such as Sockeye Salmon, click on the hypertext or go to the top of the page to find out more about the species you're interested in.